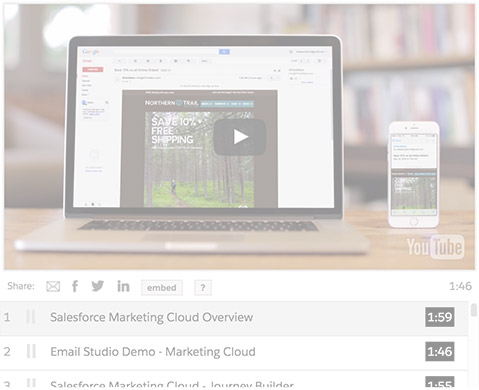 Personalize every customer’s path-to-purchase with Marketing Cloud Email Studio. Retailers need to personalize the shopping experience everywhere. Intelligent 1-to-1 Shopper Journeys, powered by Marketing Cloud, provides retailers with the ability to deliver the right message at the right time to the shoppers’ preferred communication channel of choice. Use your preferred social account.